The Seacoast Science Center is a wonderful place to get married. The outdoor tent brings the beach to the wedding. It keeps the sun off the guests and keeps the food covered. Then when the dance floor opens you don't have any restrictions moving about. This wedding had a lot of unique details. I loved the chalk board signs and their unique spin on "well wishes". 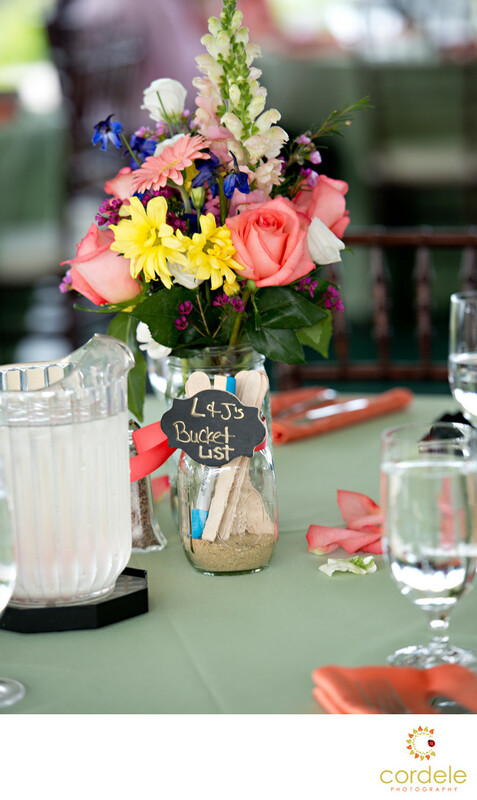 Each guest was to take a Popsicle stick and write down a bucket list item for the bride and groom to complete. I love this idea. If it were my bucket list stick, I would pull out two a year to try and complete.